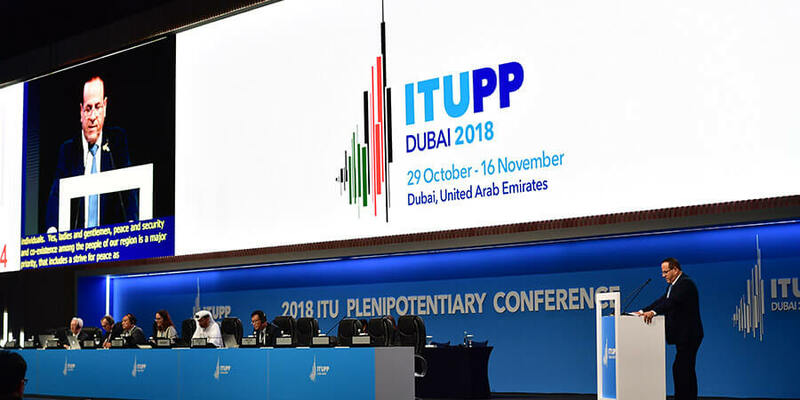 The International Telecommunication Union's (ITU's) 20th Plenipotentiary Conference (PP-18) commenced in Dubai with a global call for the world to "act as one" to connect the world's nearly four billion people who remain unconnected to the Internet. Information and communication technologies (ICTs) are already empowering billions of individuals around the world - by providing access to education, health care, e-government and mobile banking, among many other key services. "Holding the ITU Plenipotentiary Conference in the United Arab Emirates is a testament from the ITU and the international telecommunications community to the UAE's achievements in the field of rational use of telecommunications technology for the benefit of humanity, state building, as well as the economy and civilization," said H.E. Talal Humaid Belhoul, Chairman of the Board of Directors of the UAE Telecommunications Regulatory Authority (TRA), on behalf of the Vice-President and Prime Minister of the UAE and Ruler of Dubai, Sheikh Mohammed bin Rashid Al Maktoum. The Plenipotentiary Conference is the highest decision-making body of ITU, the United Nations specialized agency for ICTs. Held every four years, the Conference is the key event at which ITU Member States build consensus on key international ICT issues, elect leaders for the Union's top posts, and decide on a roadmap for ITU's work over the next four-year period, including strategic and financial plans. "We face a crucial challenge: harnessing the benefits of new technologies for all, while safeguarding against the risks from their misuse. Digital technologies have a crucial role to play in accelerating progress towards the Sustainable Development Goals," said António Guterres, United Nations Secretary-General, in a video message to the global audience. "I recently established a High-Level Panel to help advance digital cooperation across the globe, as well as across disciplines and stakeholder groups. Together, we can nurture a digital future that is safe and beneficial for all," he concluded. H.E. Hamad Obaid Al Mansoori, TRA Director General and Chairman of the Board of the Mohammed Bin Rashid Space Centre addressed the Conference via video message from Japan, where the UAE today successfully launched into orbit "KhalifaSat", a remote sensing Earth-observation satellite. ITU is unique in the United Nations family in bringing together 193 Member States, over 700 private sector companies and more than 150 academic institutions. It plays an integral role in enabling the development and implementation of ICTs worldwide by: coordinating the shared global use of the radiofrequency spectrum; promoting international cooperation in assigning satellite orbits; working to improve communication infrastructure and digital skills everywhere; and establishing worldwide standards that foster seamless interconnection of a vast range of communication systems. More than 2500 participants are expected to attend PP-18, including heads of government, ministers and other delegates from most of ITU's 193 Member States, as well as representatives from private companies, academic institutions and national, regional and international bodies. PP-18 takes place from 29 October to 16 November, and is being held at the Dubai World Trade Centre, Dubai, UAE.